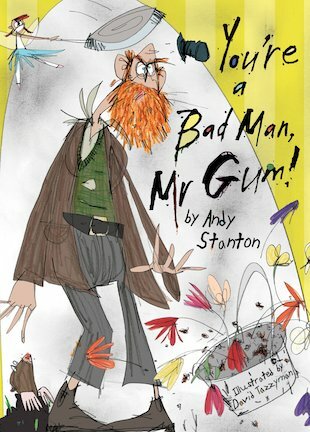 The bestselling books which have taken the world by storm, starring Mr Gum – a grotty old grump of a man who wants everyone to be as miserable as he is! Mr Gum is so horrible that children scream when they look at him and dogs run to hide under hedges. He is absolutely grimsters. And when he puts a curse on the town and does lots of other very nasty things besides, it’s lucky that a couple of handy heroes, Polly and Jake the dog, are around to give Mr Gum a taste of his own medicine! The Mr Gum series is a bonkers bonanza of silly laughs. Everyone says it’s the best thing since Roald Dahl, so buy it and see for yourself! My favourite one is the first one. A great start to the series of Mr Gum. Starring Friday O’leary, Polly and Mr gum! This book is bound to make you giggle, a quick read for boys and girls aged 7-9.